Modular Stock Spindle Big Brake Kits Our NEW Modular Ford Truck Spindle BIG Brake kits are finally here! This kit was designed and manufactured just for trucks with 17 or larger wheels! 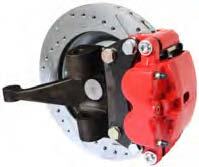 For the first time ever we can offer you a brake system making converting to BIG modern disc brakes, bolt-on easy! These kits feature Modular spindles that have an anti-rust, black finish coating, 13 rotors, BIG Twin Piston loaded floating calipers, new king pins and all the hoses, bearings and seals needed to complete the installation. These kits are the perfect way to rebuild your Ford Truck front axle and add a BIG Brake kit for your 17 or larger wheels! (13 rotors come standard with the original 5 on 5-1/2 five bolt pattern). Modular Stock Spindle 12 Disc Brake Kits The waiting is over, our NEW Modular Ford Truck Spindle Brake kits are finally here, making converting to a newer, more modern disc brakes, bolt-on easy! These kits feature Modular Spindles, 12 rotors, big single piston loaded full floating calipers, new king pins and all the hoses, bearings and seals needed to complete the installation. 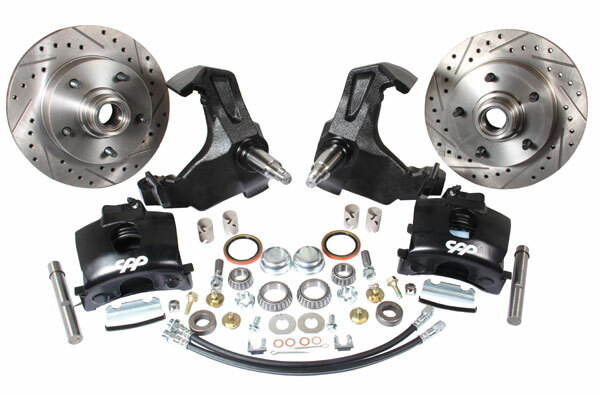 These kits are the perfect way to rebuild your Ford Truck front axle and add modern disc brakes in bolt on fashion. 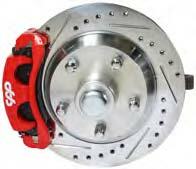 (12 rotors are only available in the original 5 on 5-1/2 five bolt pattern). 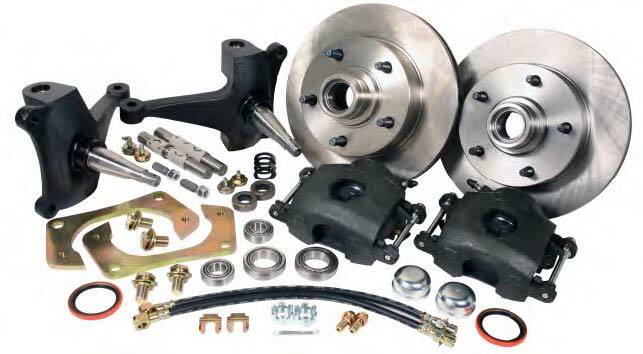 1965-72 Ford truck disc conversion kit includes spindles, loaded calipers, rotors, dust shields, king pins, bearings, seals, hoses, clips and hardware.